15% Off Orders with Newsletter Sign Ups at Hobbycraft Keep up to date with all the Hobbycraft latest and get 15% off your first order! 10% Off Student Discount at Hobbycraft Calling all Students! Get 10% off at Hobbycraft! Cross Stitch Kits from £2 at Hobbycraft Suitable for all levels, try out a new hobby now! Free Click and Collect on Orders at Hobbycraft Why wait around for delivery? Discover free click and collect on orders at Hobbycraft. Free Delivery on Orders Over £20 at Hobbycraft Don't worry about delivery charges, you get it for free on orders over £20. Up to 50% Off Selected Paper & Card Packs at Hobbycraft Save up to 50% on selected paper and card at Hobbycraft. 3 for 2 on Lace Card Embellishments at Hobbycraft Create your own designs with embellishments at Hobbycraft. Hobbycraft has been filling craft drawers, sewing kits and knitting boxes since 1995. Staffed by craft nuts from the CEO to the cashier, it’s got everything you need for your next crafting adventure. Sewing fanatics will be impressed by the range of machines and needles, whilst quilters can get their fill of tools, fabric, wadding and more. Papercrafters will find plenty of die cutting tools, scrapbooking accessories, as well as card making and stamping essentials. If you want to jazz up an upcoming occasion with your crafting know-how, check the wedding and occasions pages that’ll give you all the tools you need to create your own bespoke celebration. With Hobbycraft discount codes you can nail the cards, tableware, decorations and more to make the day even more special, and the night one to remember, all for less! There are plenty of guides to make sure you’re clued up about what you’re getting, you can even learn clay modelling, embellishments and die cutting! How do I use my Hobbycraft promotion code? Sign up to Hobbycraft’s mailing list to hear about some brilliant offers! Can I get Hobbycraft gift cards? Where is my nearest Hobbycraft store? Can I get a student discount with Hobbycraft? You sure can, verify your details here and enjoy a 10% discount. You can return your purchase within 14 days of receipt to receive an exchange or refund. Item must be in original conditions and packaging. Fill out the returns slip in your parcel, fix the postage label provided and get proof of postage. Alternatively return the item to your local store. There are few things more satisfying than hand-making something from scratch and Hobbycraft has all the tools and materials you need to develop and showcase your crafting skills! The perfect way to keep kids busy, why not use a Hobbycraft discount code to save you money on your next order of sewing, papercraft, knitting or cooking supplies? With over 80 stores nationwide and 25,000 products online, the whole family can get crafting for less with Hobbycraft. The Hobbycraft Club is an absolute must for those craft addicts out there. You can enjoy exclusive offers instore and online, discounts at VIP events, birthday gifts, free downloads and much more. The Hobbycraft Club will even learn your preferences through the items you buy, so you’ll get offers, news and guides that are tailored to your interests. Plus you’ll be one of a huge community of craft-lovers across the nation, so get joining now! Get the kids away from the telly and into crafting with Hobbycraft’s amazing range of children’s crafting supplies. From project packs to toys and puzzles, there’s plenty here to get your kids creative. 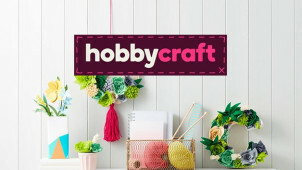 A Hobbycraft voucher code from vouchercloud could save you money on your next purchase, so you can get some great weekend and holiday activities at a discount. You’ll never run out of things to do with a trip to Hobbycraft!